Photos shot by Anthony Willis Photography. 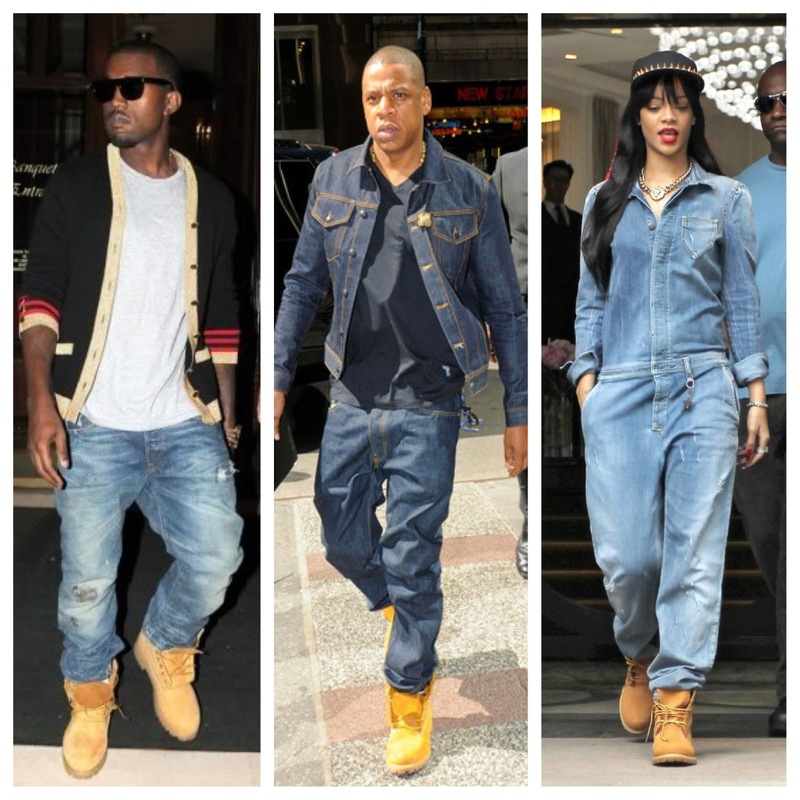 A number one go to by construction workers and rappers, Timberland boots will never go out of style. A perfect combination of rugged and casual. Not only is it comfortable, it's also gets cooler the dirtier it gets. It will forever be a timeless choice of footwear. 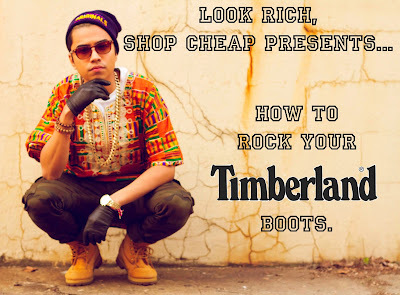 This blog entry, I will focus on how I would rock the boots without over doing it. The first outfit is a combination of many things. 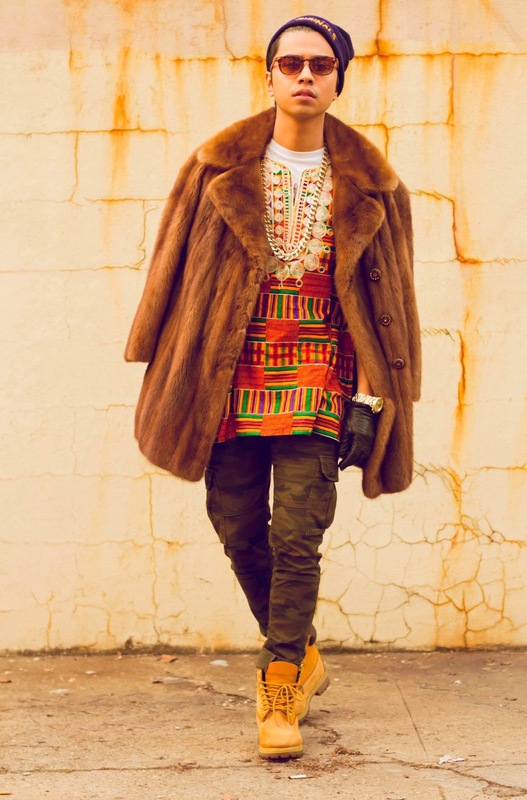 I was going for an African theme that is met with a pimp-esque vibe. The bright colors along with the camo print skinnies make the boots pop more. Looking at this outfit, the first thing that you will notice are the boots, trust me. African top brought back as a present from a friend. Mink fur coat that belongs to my girlfriend. Haha, don't ask. Classic Timberland boots with retail price of $130.00 but purchased at Ann's for $15.00. 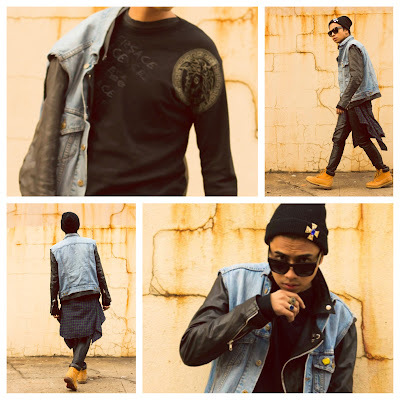 The 2nd outfit is the mixture of hip hop and grunge. A representation of today's current trends. Denim, leather and plaid. Dollar store beanie customized with a gold pin I got as a gift. Viparo leather jacket from Viparo.au leather jackets. Levi's cut off denim jacket purchased from Ann's Closet for $8.00. Uniqlo plaid button up from Ann's Closet thrift shop for $5.00. Versace top purchased from Ann's Closet for $20.00. Leather pants from Forever 21 purchased for $25.00. 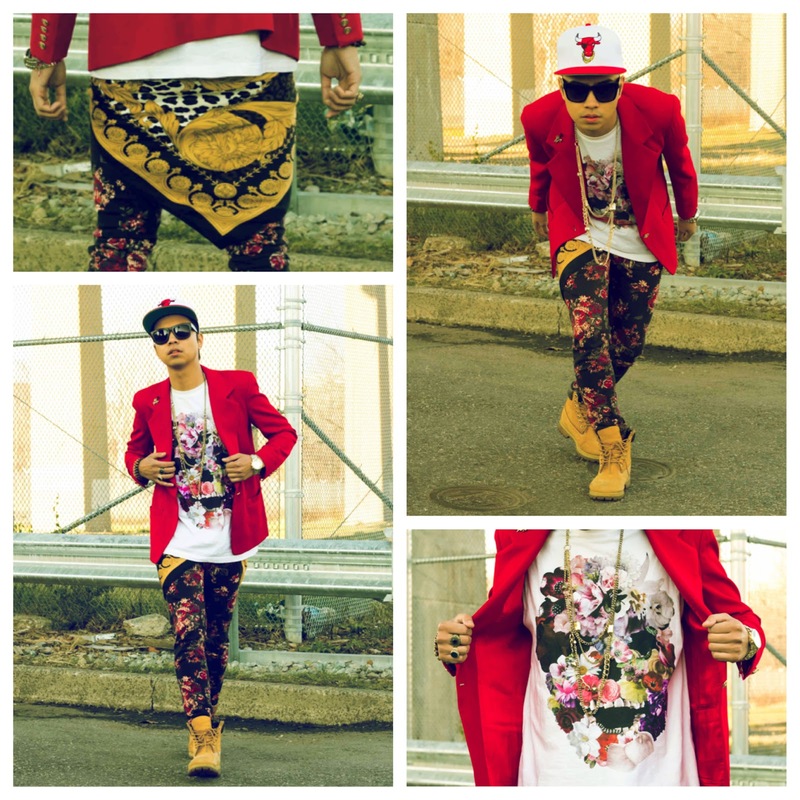 This outfit was my NYFW Fashion's Night outfit but this time with tims. This is my 16chainz Denny alter ego rapper would've looked like at a Madison Square Garden concert. Yes, I have alter egos! Embellish BULLS snapback at embellishnyc.com. Rose skull tee sent to me by youreyeslie.com...check them out!! Vintage gold button blazer from Ann's Closet for $8.00. Rose jeans by BDG purchased at Ann' Closet for $5.00. CLASSIC DENNY LOOKS featuring other Timberland selections. Everyone knows Hova popularized the tims. Here he is along with how Yeezy and Rihanna rock their boots. I thought the point of this blog was to break down affordable priced stylish outfits. On your second, and third outfit you clearly have things on that don't fit that motto. The cheapest Viparo leather jacket runs for $150, and as for the Embellish hats they push as much as $65 for one. So if you really adjust that all in you're talking $225 for the second outfit, and $93 for the third. Maybe you should leave your sponsors out of your "cheap" outfits from time to time. She will also be presented with jewelry from the bridegroom’s family. The amount of jewelry depends on each individual family. This is complemented by other gems and traditional looking Indian jewelry to enhance the beauty of the bride. Many jewelry stores are now mushrooming bracelets for girls online to offer different types of costume jewelry to deck the modern bride. You don't look rich, you look stupid.